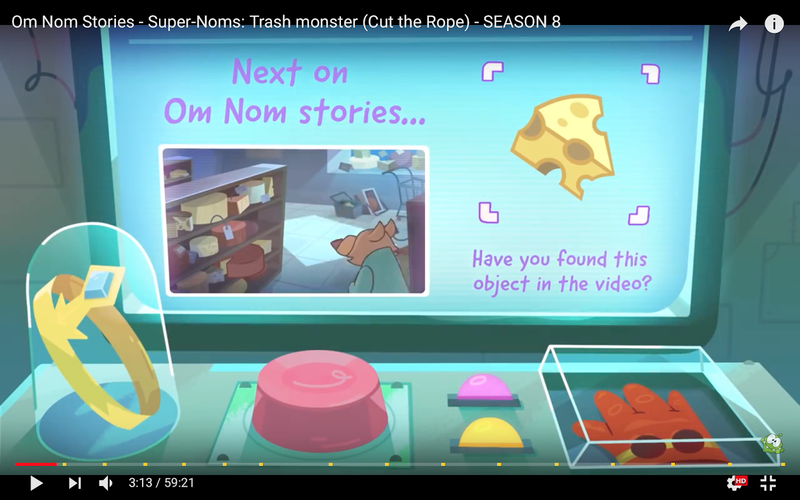 Hidden Object "Cheese" for "Om Nom Stories - Super-Noms - Trash Monster (Cut the Rope) - NEW SEASON 8 !" You have to watch the last part of the video to know what "hidden object" they want you to find, this time it's "cheese" (shown in above screenshot). It appears for a short while only but it's quite easy to find, if you need help you can view the Answers page. This is also Puzzle No. 152 in the Puzzles page.